There are no comments for River Dijver, Rozenhoedkaai Area At Night, Bruges City. Click here to post the first comment. 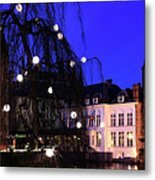 River Dijver, Rozenhoedkaai area at night, Bruges City, West Flanders in the Flemish Region of Belgium. 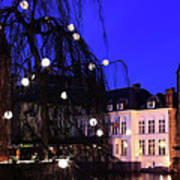 Bruges City is a UNESCO World Heritage Site.